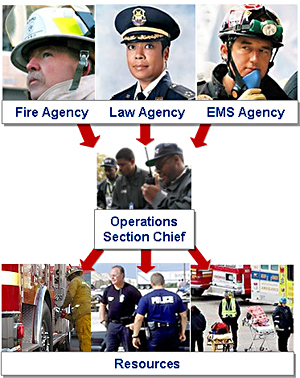 The National Incident Management & Incident Command Systems (NIMS & ICS) was developed to provide public and private responders a consistent method to respond in an emergency situation. Through these nationally adopted systems, the private organization will be able to structure their response efforts so they are consistent with local, state and federal agencies. The first responder will be able to understand and “speak the language” of other first responders. This communication and structure will be critical in larger scale emergencies.